California has consistently been the epicenter for marijuana cultivation in the United States throughout history; it was only recently, however that recreational cannabis legalization was passed into law. In the state’s capital, individuals are hoping recreational legalization will contribute to an increase in Sacramento marijuana jobs. In the same format as states like Colorado and Oregon, “legal operations” won’t begin until a year or so into the future, when all regulations have been decided upon. In any case, job candidates around the Golden State are eagerly awaiting the chance to be employed in the newly legal cannabiz. On a citywide scale, Sacramento passed Proposition 64, which allows for licensed cultivators to operate within city limits. 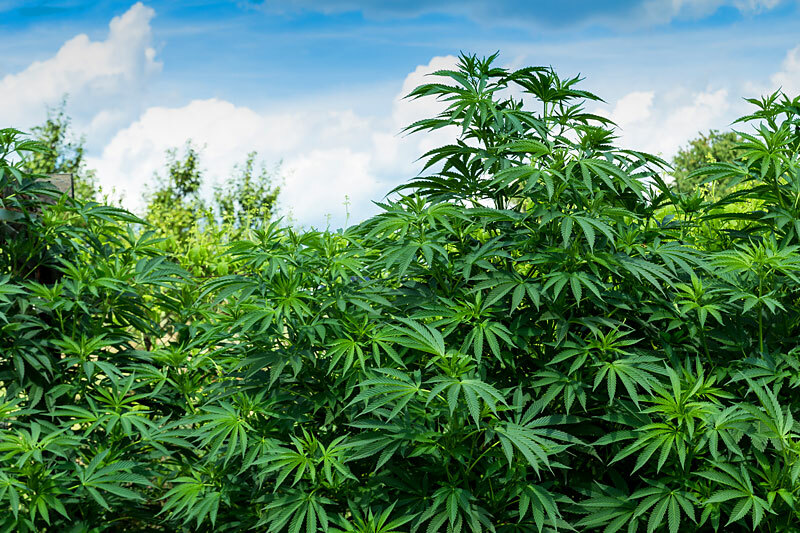 This is a major advancement for responsible marijuana integration, as cities are often extremely limited when it comes to cultivation options. Once guidelines have been established and licensing fees arranged, grow operations up to 6,400 sq. feet in commercial zones and 22,000 sq. feet in industrial zones can operate in compliance with all state and city regulations. After all the signatures and dotting of I’s, it’s time to get down to business. Cannabis cultivation is a passion project, but it’s serious work, especially for those in charge of the operation. Sacramento marijuana jobs in growing can be somewhat of an obsession for stoner horticulturists, since there are so many variables that determine a crop’s outcome. A lot of responsibility rests on the lead grower. Only detail oriented, passionate individuals need apply for these Sacramento marijuana jobs. Now that Sacramento will allow for more citywide cannabis cultivation, bud trimming jobs are sure to see an influx given the increase in raw, unprocessed flower. Bud trimming can be described as tedious or meditative, depending on who you ask. While this job might not be intellectually engaging, it is a necessary step in preparing flower for sale. In recreationally legal states, consumers have become accustomed to a standard quality for well-trimmed bud, so it’s important trimmers are precise and speedy in their work. Now that a wide array of products have become available to consumers, cannabis flower isn’t the only thing in demand these days. Cannabis concentrates, edibles, topicals and more require further processing past the trimming and curing stage. So, how do trim and bud turn into the sticky, potent substances known as concentrates? In short the answer is: cannabis extraction technician jobs. Extraction techs are one of the most highly sought after Sacramento marijuana jobs. The process of extraction is carried out in a lab environment by experienced individuals. Essentially, the process involves taking plant matter, such as flower and trim, and using solvents, such as CO2 and butane to extract compounds like THC and terpenes, while leaving plant matter behind. This creates a more pure, higher concentrated method for consuming THC. Cannabis processing can be dangerous as the heat and solvents used can be potentially dangerous for those who aren’t confident in what they’re doing. Taking the process a step further, concentrates are frequently used to infuse marijuana edibles. Edibles now come in virtually any form you can imagine, including drinks. Before concentrates were so readily available, edibles were made using cannabutter, which is the process of decarboxylating cannabis plant matter by cooking in in butter or oil for a period of times. Some edibles chefs swear by using this original method, but others who don’t like the distinct, earthy taste of cannabutter will cook with concentrates. As far as Sacramento marijuana jobs go, cooking edibles all day doesn’t sound like too bad of a gig. Given that Sacramento has already bolstered a healthy cannabis culture, new legalization promises to surge responsible marijuana practices into the mainstream. Currently, Sacramento allows for medical marijuana sales to patients with medical cards. Dispensary operations are largely the same, regardless of whether they are serving rec. customers, patients, or both. The most important distinction with medical marijuana dispensaries of course, is that their main goal is to provide cannabis products to be used to treat a variety of illnesses and their symptoms. Upon entering a cannabis dispensary for the first time, you may be struck by the uncanny nature of purchasing weed at a retail location like any other. Whereas many cannabis users acquire their products via the underground market, cannabis dispensaries offer a relaxed, though regimented experience. Dispensaries draw in a much wider demographic than some might assume: businesspeople on their lunch break, retired seniors, as well as the usual suspects who have openly engaged in cannabis culture for years. As the reach of marijuana products continues to extend, it’s up to employees at Sacramento marijuana dispensary jobs to continue to represent the industry with composure and knowledge, in order to allow for more cannabis progress worldwide. Perhaps dispensaries look simplistic from the customer’s point of view, but the professionalism and ease of operations you see upon entering a pot shop’s doors is all thanks to workers of Sacramento marijuana jobs. At the top of the dispensary hierarchy is the dispensary owner. Many people dream of opening up their very own legal cannabis shop, but only a select bunch have the opportunity, capital and perseverance to see the business through to success. Sacramento only allows for a certain number of dispensary operation licenses, meaning that business hopefuls should be truly committed before deciding to spend their savings on what seems like a get-rich quick plan. Let me be clear in saying that just because you own a cannabis dispensary doesn’t mean you’re going to be rolling in dough. While there are some very successful owners out there, it’s largely because they have worked long and hard to establish their brand and clientele. Due to all the legal hoops dispensary owners must jump through before opening their doors, owner hire professional cannabis consultants to assist them in navigating the rough terrain and save them unnecessary time that would’ve been spent poring over convoluted regulations. Owning any business is a stressful endeavor, especially when employees’ livelihoods are involved. Dispensary owners should be business savvy and have a background in cannabis and business. The dispensary management team helps to facilitate a store’s daily operations and follow all the protocol set forth by the state and the dispensary owner. Managers have one of the most multifaceted Sacramento marijuana jobs, since they help to administrate, as well as engage in direct customer service. Managers are given the involved task of interviewing, hiring and training subordinate staff and helping to lead them successfully through their shift. Managers will likely already have dispensary experience before being hired. Some shops choose to promote manly from within so they are familiar with the employee’s experience and work ethic. Managers are often the go-to Sacramento marijuana jobs for managing partnerships between grow operations and production facilities. It’s important that managers be good communicators and confident business professionals, since they must interact with shop owners, subordinates, partners and customers on any given day. Even those who have never stepped inside a dispensary have heard of the budtender. Especially in the last few years, these Sacramento marijuana jobs have been a major point of interest for customer service workers looking to transition into meaningful new careers. Budtending is a deceptively strenuous position that involves a hefty backlog of cannabis industry knowledge and a desire to assist customers find the best products for their needs. Budtenders spend much of their shift recommending products and asking questions, so it’s important they have some confident answers. Part of a budtender’s task is to work with new cannabis users who are unsure of their tolerance level, or who haven’t experimented beyond marijuana flower. Held like jewels behind the display counter, products and paraphernalia of all creeds can be overwhelming for even the most dedicated stoners. Budtenders help consumers weed through all the options to find that perfect diamond in the rough. Thanks to the snowball effect of cannabis legalization, more unemployed and underemployed workers have the opportunity to secure viable jobs in the cannabusiness. By no means are Sacramento marijuana jobs limited to cultivation and sales; on the contrary, as the industry becomes more ingrained in the city, many direct and associated cannabusinesses will be seeking employees. Interested candidates should keep their eye on Sacramento’s legal itinerary in the coming months. Once recreational legalization is in full swing, businesses will likely receive an astounding number of applications, as we’ve seen happen with jobs in Colorado, Oregon and Washington. The cannabusiness is all about riding the wave. So what are you waiting for?